In the storm of emotions following the Rebbes Passing on the 3rd of Tammuz in 5754, a group of over 30 individuals in Crown Heights, took it upon themselves to summons the administration of Merkos L’inyonei Chinuch, and Agudas Chasidei Chabad to a Din Torah before the Crown Heights Beis Din, over what they alleged was matters pertaining to a will supposedly left behind by the Rebbe. In a letter dated Pesach, 5770 Rabbi Avrohom Osdoba writes that he was approached by many member of Anash and Askonim regarding the letter dated the 20th of Tamuz 5755, declaring “refusal to adhere to din” against Rabbi Chaim Yehuda Krinsky and Rabbi Avrohom Yitzchok Shemtov, seeking that the letter be rescinded and retracted. Rabbi Osdoba, who is signed on the letter with with Rabbi Kalman Marlow OBM, goes on to clarify that “for obvious reasons the Badat”z much, according to Din, pull its hands from dealing with this matter,” the letter goes on to say that with the din torah [currently] going on in the matter of the Vaad Hakohol and Beis Din, that it became clear that a large number of the plaintiffs are plaintiffs in this case as well, or are open supporters of those who are against [me], among those are Rabbi Yaakov Aharon Schwei who himself is a part of the Beis Din. 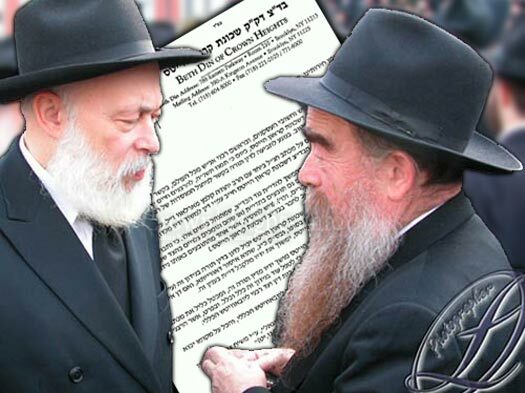 Sources familiar with the particulars maintained that Rabbis Krinsky and Shemtov never should have been called before the Crown Heights Beis Din because they have no jurisdiction over these moisdos, and they lay solely on Vaad Rabonei Lubavitch, an opinion which Rabbi Osdoba declared to be correct in his letter. This appears to be yet another step towards peace an harmony that has eluded our community for so many years. Yet there are those who seek to derail this effort. On a news website, blatantly aligned with those against Aguch, Merkos and Rabbi Osdoba, they posted a part of the Psak Din implying that this move goes against it. this is the last time the stationery is used save it as part of history. Ha! Not so quick, buddy. 1) this is obviously a communal matter, and 2) the letter terribly disrespects Rabbi Schwei (see what Rabbi O writes about him), as well as calling into doubt the entire din torah that just concluded. I believe that this letter will be brought to the attention of Rabbi Rosenberg, who will obviously need to decide if it violates the terms of the new psak din. If, as I believe he will, Rabbi Rosenberg rules that Rabbi Osdoba’s letter is improper, I want to see you post it with as much vigor as you posted this, and the obviously incorrect inference from the Psak’s footnote. The Beis Din of Crown Heights had no buisness involving themselves in this dispute in the first place. does this mean that it was Bobba maasers from the start? Why now is he waking up? What does shcwei have to do with it? Why haven’t they gone to vaad rabonai lubvavitch? What peace has happened here if the issue has never been solved?????? Rabbi osdoba which 15 years ago claimed together with rabbi marlow obm that this din torah should be solved at a zabla and not vaad rabonei lubavitch, then why now is rabbi osdoba saying that he was incorect all these years? Is he saying that the lefties were always right?????? Or is it just that the politics have turned around a bit???? When is he taking off the cherem from fisher???? Dave, I will venture and say you count yourself among those who wish that no peace ever reigns. You are so quick to say that it is a communal matter, where do you get off saying that?! If it was 30 INDIVIDUAL people ignited this fight and it really is a communal matter, then why wasn’t it the Rabonim or Aguch themselves that called this “Din Torah”? Fact is that this was a group of Mechalchelei Riv who it is in their interests to keep the flames of this fire burning. You, yourself Dave, are among them. The Fischer cherem has been removed several years ago. ‘It takes a fight to break a fight’. Why is this a private case??? I do not understand a word. NADA. Can anyone explain what’s it about? b.h I and many many many join Dave and Face the reality,and some comments from Don’t get it ,why is reb Abraham Osdoba coming up again with his bobo maases.The letter he signed fifteen -15- years ago mentions that the din toiro should be solved by zablo . In the the last din toiro that he was involved, he agreed and signed to comply with . all this adds to the concern of our YOUTH who are our future. Shame of everyone involved that has no wisdom to see what this does to others….those who do not have connection to this fighting, the children, etc. Fighters, I love a good ad hominem post. If there ever was a machlokes that consumed the Chabad community, this is it. And I’m all for peace; the point isn’t K and S’s getting off the hook—I’m all for that! It’s about Rabbi O acting so shamelessly, exposing that even his initial siruv was political, and as soon as he needs a new political coalition, he puts out a letter like this. Further, the letter is terribly disrespectul to Rabbi Schwei. And we all know this letter was purposely released (whenever it was written) after the din torah!! So next time give me the benefit of the doubt. Kuddos to whoever mistranslated the letter. First of all, according to the letter, Rabbi Osdoba is saying that he is not impartial, since many of the plaintiffs in the case of Krinsky etc., are also plaintiffs in a personal case against Rabbi Osdoba. He therefore cannot judge the case and must declare it null and void. Second of all, it says that Rabbi Shwei is also a plaintiff in the case against Aguch and is therefore not impartial and cannot judge the case either. It does not disrespect Rabbi Shwei at all and the translation is grossly translated! This letter is a historic step forward to healing the community. Sadly it took all these years. Rabbi Osdoba has made the move and should be lauded. 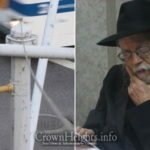 It has no connection to Rabbi Shwei since he was not did not sign the original letter against the Rabbis Krinsky and Shemtov, nor was he at the time a member of the Badatz of Crown Heights. There is a deeper recognition of issue that created great conflicts. Which Beis Din has the authority over the central Mosdos of Lubavtich. The Rebbe clearly appointed Vaad Rabbonie Lubavitch. Rabbi Osdoba, as a respected Lubavitcher Rav is welcome to join VRL and express his views in that forum. 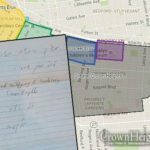 The Bedatz of Crown Heights responsibility extends to internal issues of the CH community not the policy or actions of Shlichus and Lubavitch. VRL is a body with Chabad Rabbonim from throughout the US and Canada its mandate is these Mosdos and policies of they have. All Rabboni Chabad, including Rabbi Osdoba, Shwei etc. can join VRL and share in the decisions of Rabbonim from all over as the Rebbe established. Hopefully this letter from Rabbi Osdoba will be yet another step in healing the divisions that have sadly existed. May we merit the coming of moshiach as soon as…NOW!!! We are in the year of shnas 770 – this is the last decade according to all accounts. Ad mosai? admosai? ad mosai? This is an unfortunate mistranslation of the Rav’s letter. Re-translate please! Rav Osdoba only has good and holy intentions. What you said makes no sense and if you have a “Real problem” that the Rebbe (which is alive Beguf Gashmi)’s Tzava was never fulfilled go call rabbi krinsky and shemtov etc to a din Torah at the bais din the rebbe said tp go to (on 24 teves 1992)! Aside the fact the zalman gurary didnt write in his tzavah who should take him over and Reb Dovid raskin is not in the position to be y”r Aguch…. For those that worry how this and matters like it affect our youth aversely – I say you are right. Sort of. Worry is not the right mode, though. If you can do something about a challenge do it, don’t just worry. If you can’t do anything, worry isn’t constructive either, just make peace with it and move on. No, the young will never respect those who squabble about matters that have died and are just being kept alive articifically to make those that livemore confortable. It doesn’t matter to them whether K or S are right or wrong; whether there was one or two or three or no wills; whether merkos or shmrekos is #1 or #0. Becuase the young own tomorrow. They will decide. Not you, not K not S nor anything or anyone hanging on to yesterday. Things do not get resolved today by the old-fashioned because-I-say-so, nor simply by anyone saying because-the-rebbe-said so. Love and respect – as a peer – the young, whether or not they speak, talk or dress as you want them to (meaning the way you do). Honor their opinion just as much as your own (even if you think your opinion equals god’s or rebbe’s or torah’s). Sure, if they ask what does torah say on matter X you may offer your opinion, but don’t use the Torah as an ax. They are one of the 69 other faces. They are the same god spark as you (and the same animal too). Worry about yourself. The young will take care of themselves. do you really think the Rebbe wasent smart enough to have a will written legally by a lawyer and signed by all three maskirim. What’s with the siruv against rabbi Osdoba issued by Agudas Harrabonim, taken out by Shemtov and Krinsky? if he wasn’t around when the original psak was issued. OK Rabbi Osdaba is getting smarter and coming around. Now all he has to do is return the few million dollars he took from merkos when he said the money belongs to the yeshivah bli shum pickpuk!! and return it to merkos. Like the good book says ma shlo yashe hasheckel yashe hazman! There’s no excuse to disrespect ANY of the Rabbonim! If you have a ‘Tayne’ to any of them; you should seek redress, ONLY in a respectful manner.